Session Music is one of two Gibson Acoustic Five Star Dealers in Germany and one of the most important music retailers in Europe. Especially the store in Frankfurt – which was founded as the family business „Musik-Schmidt“ in 1918 – has a long tradition of selling Gibson guitars starting in the 1950s. 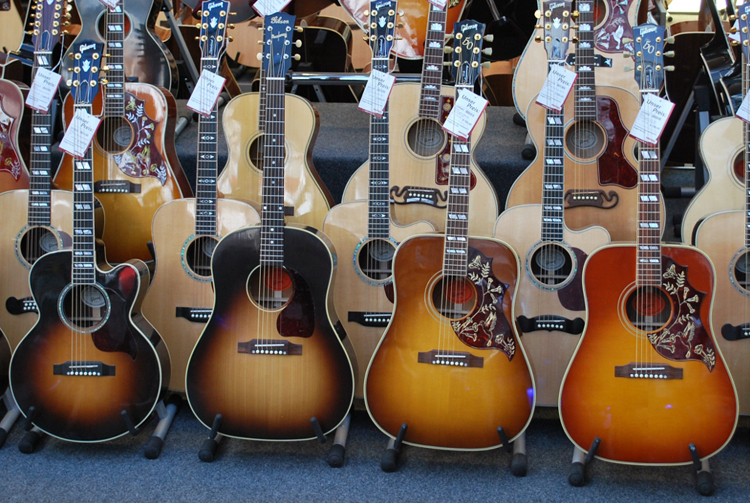 Session Music in Walldorf can look back at a 30 year tradition of selling Gibson guitars as well, especially Acoustics from the Montana Custom Shop. When Frankfurt's largest music store became part of Session Music it was awarded Europe's Gibson Acoustic Dealer of the Year 2009. 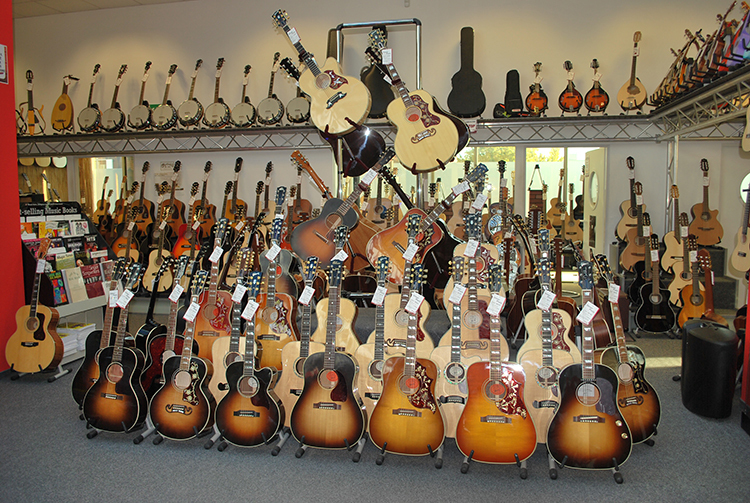 New customers who climb the stairs to the guitar department in Frankfurt are overwhelmed by the enormous selection of electric and acoustic guitars. The Gibson guitars in Session Music stores are hand-picked by our staff and periodically checked by Gibson representatives. 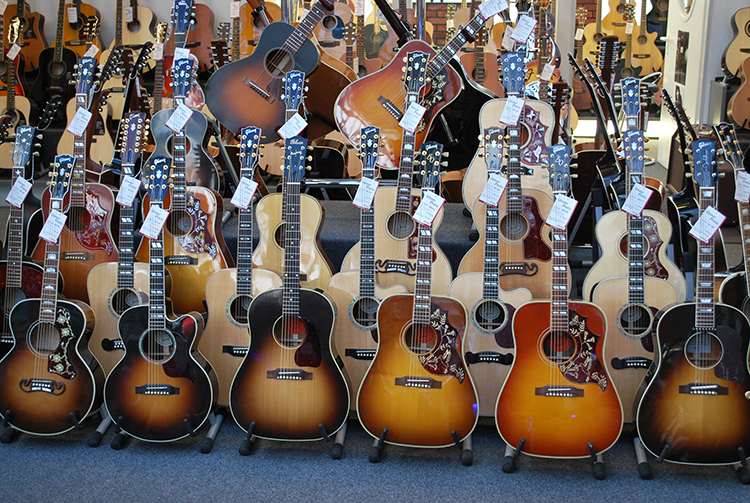 More than 40 different Gibson acoustic models are available including the 1960s Hummingbirds, J-185 and J-200 e.g. Of course 35 more affordable Epiphone steel-strings are available as well. All the guitars are available online at session.de and at the other Session Music stores, including Osnabrueck, Schwabbach, Gaggenau, and Heidelberg.